We all know that Oakley is one of the leading brands of glasses. Well, this time, they teamed up with Intel for one of the most ingenious sports glasses we have ever come across. 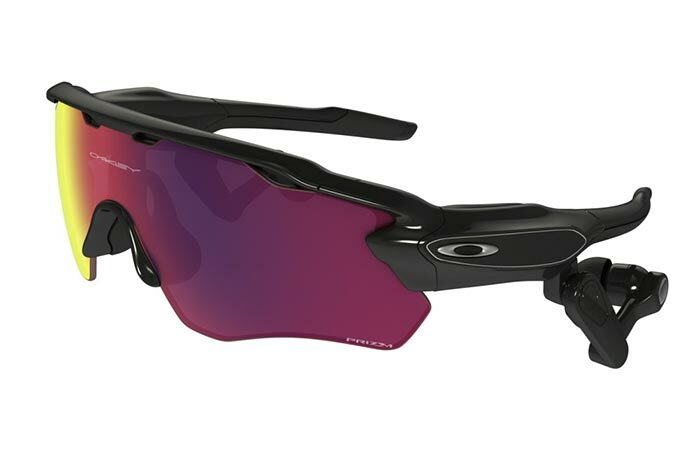 Introducing the Oakley Radar Pace. 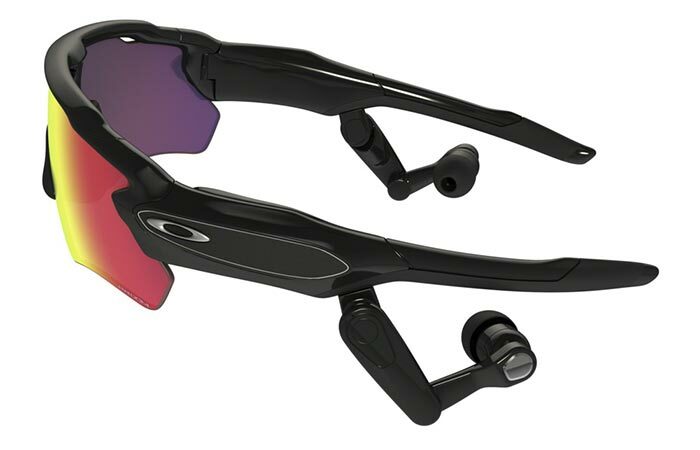 By combing Oakley’s innovative lens technologies with Intel’s expertise in technological advancement, the Radar Pace was born. The Radar Pace is essentially a voice activated coaching system. However, it is also so much more. The voice activated virtual coach gives you real time coaching. It even lays out a unique training plan for your session. The coaching system creates a unique training program so that you can get the most out of your performance. It also tracks your performance and coaches you in the moment. It manages to do this with the integrated earphones. Check out the video below. The Radar Pace also has the ability to pair with external sensors. This allows you to get crucial info such as power output, heart rate, speed, cadence, time and distance, and more. It does this by combining sensor data integration with Intel’s technology. The temple controls allows you to wirelessly control your music by simply tapping and sliding your fingers along the touchpad. Furthermore, these glasses also have internal sensors. This includes a gyroscope, accelerometer, humidity, pressure and proximity. You can also control your volume and music from a paired phone right on the touch pad controls situated on the temples. The Radar Pace is also water resistant with an IPX5 rating. The Prizm technology allows for a crisper view that has had both its visibility and contrast maximized. 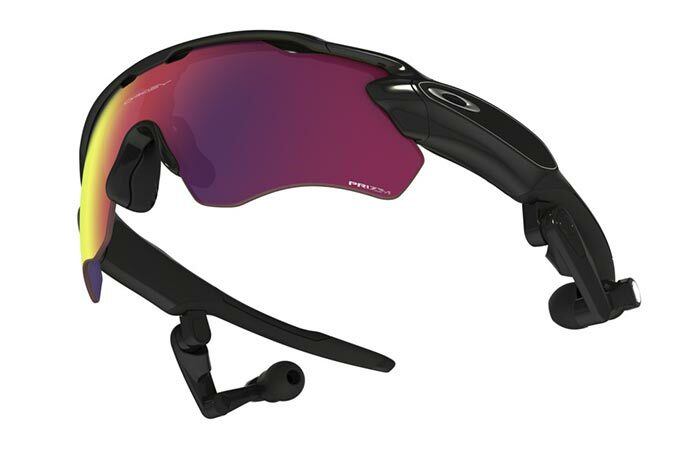 In addition to these qualities, the Radar Pace still includes all of Oakley’s lens technologies. Its UV protection is made possible by its Plutonite lens material that filters out 100% of all UVA UVB and UVC radiation.